The first and last academic biography on this important queen of France was written in 1895 by Elie Berger - for the work by Regine Pernoud in 1972 was not really a research book but one written for the general public. Recently, there have been some references to Blanche but as a comparative case for the study of other queens or thirteenth-century queenship. Lindy Grant's major study will certainly stand for decades as a classical biography, not only because queen Blanche has not attracted much attention by historians, but because the author's approach to the subject provides a fresh look at queenship that departs from the overgendered interpretations of feminist historiography. These studies have been important in shedding some light on some forgotten female characters and in counteracting biographies that have seen queens only as mediators, acting merely through others. But in stressing role models they have often shown limitations when it comes to realise that the exercise of power and authority in the Middle Ages - whether by male or female - responds to very similar patterns and it is not always gender specific. Blanche exercised "direct executive agency as a ruler" (8) although she was never a queen on her own right. This biography is organised in two parts: the first is a chronological account of Blanche's life (daughter, wife, queen, widow) and the second provides a themed analysis of her queenship (culture, politics, spirituality and family). This structure is novel but more appropriate it seems to have integrated both - chronology and themes - into one set of chapters. Otherwise, the first part seems a simply story next to the second which develops into an elaborate historical study, that which is expected of an academic biography. A masterly use of primary sources and a wide range consideration of the secondary material lie behind these very well written chapters and bring the character of the queen out and alive. 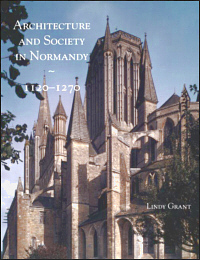 Grant's biography not only does service to a much overdue study of a particular royal figure, but it is also a book that provides an interesting insight into the political history of thirteenth-century Western Europe. The author is humble enough to admit that the book is not even a study on medieval queenship, but it is simply an attempt to enlighten a case among many. But the reader is rewarded with much more than a personal story from medieval France. "Blanche was many things; among the most important, she was a mother" (xi) and "her influence on her son [...] was profound" (1), an aspect that is carefully treated throughout the book. Yet although Grant argues that Blanche "remained in close contact with her Spanish relatives" (20 and 32), perhaps the most noticeably weakness of this biographical study is that Blanche's parents and the kingdom of Castile in the late twelfth century are hardly considered, nor seems the author duly acquainted with Spanish historiography. 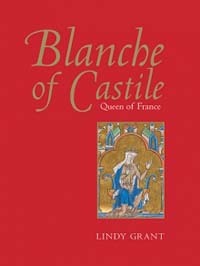 Thus Blanche's life and work is seen through a traditional Anglo-French perspective, and even in chapters 1 and 7, when the queen's family is dealt with, there is only reference to her siblings and offspring but nothing is said about Alfonso of Castile and Leonor Plantagenet. It is evident that Blanche had her parents constantly in mind and that her mother is very likely to have exercised an important influence on her during her infancy, no less than twelve years spent from 1188 to 1200 at the fascinating court sessions held at Toledo and Burgos. The author suggests that "the court in which Blanche grew up in Castile in the difficult 1190s was uncomfortable and unstable" (232), which only goes to show that the book lacks the perspective and contributions made from the historians of medieval Spain. The arms of Blanche's father in a seal attached to the foundation charter for Maubuisson and placed at one of the most impressive windows of Chartres Cathedral bear witness to the queen's treasured connection with her parents for she was proudly filia regis Castelle (319). Blanche's special patronage towards Cistercian nuns and the name given to Maubuisson as Santa Maria Regalis just like the Cistercian nunnery at Las Huelgas founded by her parents in Burgos (120) is also testimony to the queen's filial attachment, but this is not considered parental influence in the book. The betrothal of the Castilian princess to the dauphin was a key event in the impossibly tense relations between the Capetians and the Angevins in the first decade of the thirteenth century to the point that Eleanor of Aquitaine's journey to Burgos to fetch one of her granddaughters for the future king of France placed the Iberian kingdom at the very heart of European politics. The queen of Castile's dowry - supposedly the county of Gascony - was claimed by her husband in 1204 thus strengthening Blanche's pivotal role at the crossroads of England, France and Castile. The best known Castilian chronicles of the time are barely considered in this study and there is no reference to the presence of Blanche in Spanish chancery records. An image of Las Huelgas - a place where Blanche is likely to have spent great part of her childhood and received some education - is surprisingly absent from the plates included in the book. Only as the book comes to the closing pages does the author refer to the thirteenth-century idea of the Spanish female character deemed as "dangerously exotic" (320). This observation aside, Lindy Grant's is a much welcomed work on a queen whose life was desperately in need of more historical attention and revision. This biography is likely to become illuminating reading not only for those interested in the study of queenship, but also to understand the intense period that closed the twelfth century and opened the thirteenth, as the author suggests, times "changing faster than usual" (24).